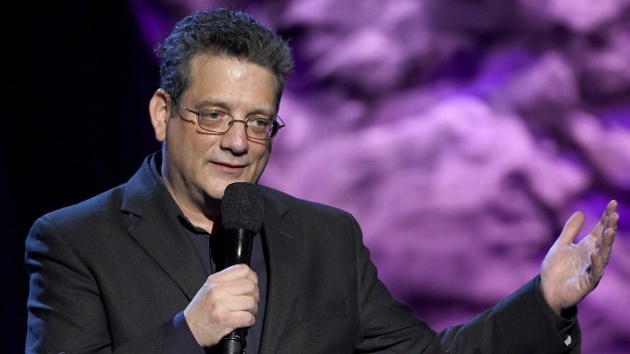 Comedian Andy Kindler has made a respectable career out of disrespect, mercilessly roasting pop-culture figures to a burnt crisp. His first of five nights at Acme Comedy Co. was no exception as he tore into Dane Cook, Jimmy Fallon and Billy Joel. But the stand-up veteran elicited the biggest howls Tuesday when he went after Garrison Keillor, starting with regrets that the "Prairie Home Companion" host had left the show because he no longer has a way of testing the scan option on his car radio on Saturday evenings. Kindler was just getting started, diving deep into material that skewered the local icon's ego and musical abilities. Few in the crowd roared harder than his opening act, Erica Rhodes -- who just happens to be Keillor's niece. "I always forget that until I hear her laugh," Kindler said after the show. Rhodes, who shares a manager with Kindler, confirmed that she found the material hilarious and suspected Uncle Garrison would feel the same way if he was there himself. It's unlikely that theory will be tested. Keillor is currently on the road. Both comics will be at Acme through Saturday night. Kindler and "Mystery Science Theatre" co-founder J. Elvis Weinstein will be recording their podcast, "Thought Spiral" from the club at 5:30 p.m. Thursday. At $7 a ticket, it may be the happy-hour bargain of the week.